I don’t usually use acronyms like OMFG, but in this case I am going to go with it. More hi-res pics are avaliable in the c30world forum (registration might be required). I so want this car. I pine for it. I pine for many things Swedish apparently. Volvos, fjords… There’s a build your own section within the C30 mini-site (Flash) where you can play with different C30 make ups. It’s a somewhat slow, but it allows me to dream. Take note of the slightly amusing loading-progress meter. 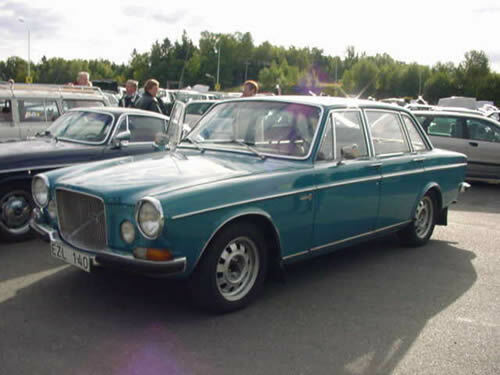 My first car was a 1969 164. The thing went pretty much anywhere. Very tough. But it died of salt poisoning, being made of steel and living through Alaska winters (salted roads). My car’s name was Sasha. She was beautiful. I need a moment. Actually, all my cars have started with V. I had a 1974 VW 412 wagon and now drive a stock 1998 VW Golf. 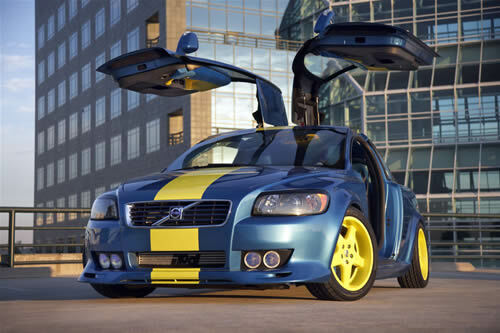 Next car must be the C30.